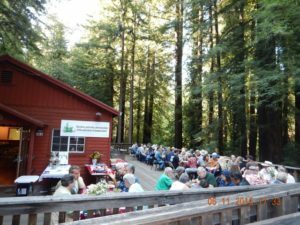 Join us for a barbecue under the redwoods! Please join the fun at our Fifth Annual Summer Dinner under the redwoods. Great food, lively music, awards and current forest news. Plus a special guest: Dr. Chad Hanson, Director and Chief Ecologist of Earth Island Institute’s John Muir Project will give an informative talk . Dr. Hanson will present information gained from his interesting research on fire ecology. He is the author of The Ecological Importance of Mixed‐Severity Fires. Forest Unlimited will also presenting an Environmental Activist awards to a deserving forest activist. Food: Wild salmon is back as well as veggies on the grill! There will be side salads, appetizers, and desserts. Tickets Online: Click the “Donate” in the sidebar. Be sure to indicate that this is for the Annual Dinner. Further information: call 707-887-7433 or email larryjhanson@comcast.net. Don’t miss it. Mark your calendar now! 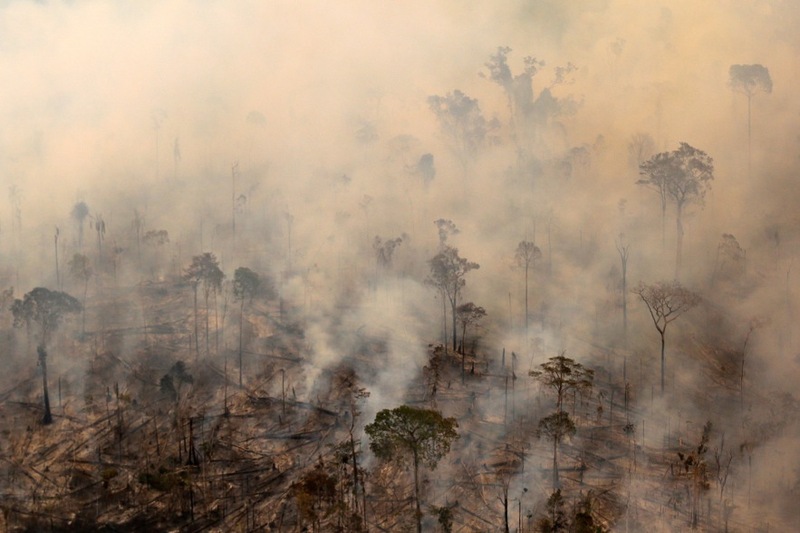 This is a fundraiser for Forest Unlimited. 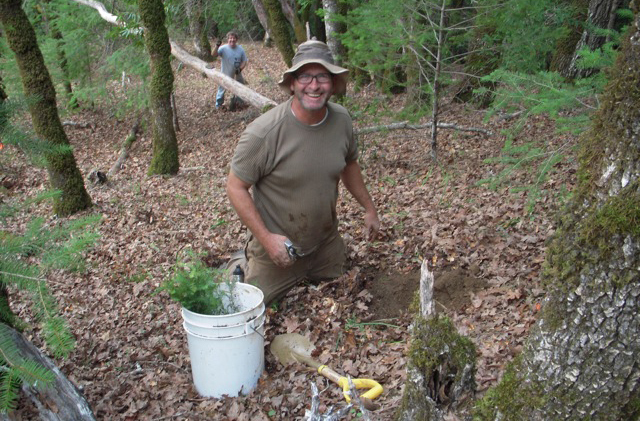 This January, Forest Unlimited will be planting approximately 1,600 one-year old redwood seedlings for reforestation and erosion control. The planting dates are yet to be determined. Forest Unlimited will provide trees, all equipment and a free indoor lunch, including drinks and snacks. Vegetarian food will also be available. If you would like participate in our January planting, please contact our Reforestation Manager, Larry Hanson at larryjhanson@comcast.net. Further information on the rendezvous location, appropriate attire, etc. will be sent to all volunteers by mid December. The results were unsettling. Read more. The fight to save majestic coastal redwood groves in California has been waged for more than a century, starting with the campaign that created Big Basin State Park in 1902. In 1978, the Sierra Club dubbed its successful campaign to expand Redwood State and National Park the “last battle” of “the redwood war,” but the battles to protect this globally recognized icon of nature would only intensify. In 1985, a junk-bond dealer named Charles Hurwitz engineered a hostile takeover of Humboldt County’s most respected logging company, Pacific Lumber, and folded it into Houston-based investment company Maxxam. Meanwhile, Louisiana-Pacific, a Georgia-Pacific spin-off, was cutting its more than 300,000 acres in Mendocino and Sonoma counties at roughly three times the forest’s rate of growth. This unruly phase of the story involves the birth of radical environmentalism on the North Coast, complete with tree sits and road blockades, and culminates in the campaign to save the largest remaining area of unprotected old-growth redwoods in California, and thus the world: the Headwaters forest, located between Fortuna and Eureka. President Bill Clinton made saving Headwaters an election pitch in 1996, and in 1999 the state and federal governments purchased 7,500 acres to establish the Headwaters Forest Reserve. For years, wine industry leaders have opposed regulation on the grounds that it is burdensome and of questionable value. California agribusiness representatives have consistently maintained that they can manage their properties in an environmentally responsible manner without the need for government oversight. In the case of the wine industry, the leading edge of this effort is a marketing and certification initiative called “fish friendly farming” which has certified 100,000 acres of vineyards, including a majority of those that suckle at the banks of the Russian River. 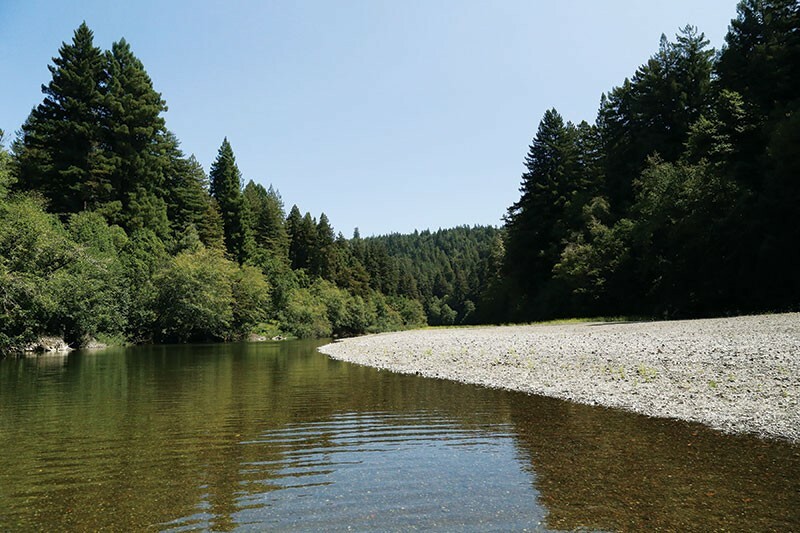 The initiative was developed by the California Land Stewardship Institute (CLSI), a nonprofit organization based in Guerneville.